Life is busy, we get it but you deserve to enjoy all the health and wellness benefits you purchased your spa for without the hassle, work, and extra time it takes to achieve soft, balanced, and odor-free water. 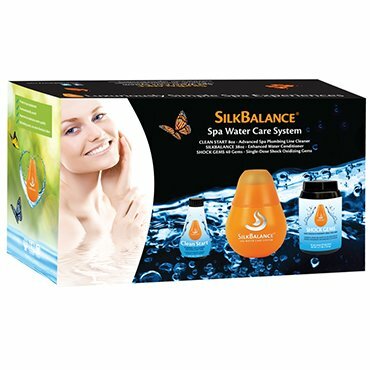 SilkBalance leads the way in premium spa water care with a unique, unmatched, proprietary formula specifically designed to eliminate the need for excessive chemicals, wasted time, and work involved with traditional or salt water systems. It’s all about the water in your hot tub! Without sparkling clear, soft, and pH-balanced water, you will not get all the amazing health benefits of soaking in your hot tub. SilkBalance gives you all that in ONE simple step with a product you can trust. 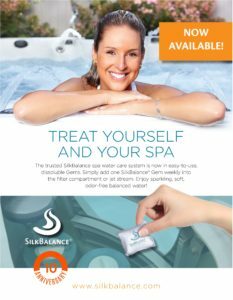 SilkBalance is the once-per-week solution that is all you need to enjoy the health and wellness benefits of your hot tub, without complicated chemicals or the hassles of a salt water system. Make the simple step toward Hot Tub Happiness today. You now will have more time to enjoy your spa and spend less time playing chemist. SilkBalance is specially formulated, without harsh chemicals, to be self-adjusting. Even the annoying smell of chemicals is neutralized. SilkBalance is safer and easier on the environment than the harsh chemicals currently used in the water care maintenance of spas. There are no special procedures or precautions required when it comes time to drain your spa. As a multi-functioning, complete water care treatment system, SilkBalance products work to help extend the life of your spa equipment components by breaking down organic deposits and continuously inhibiting further buildup that comes into your spa water. By eliminating organic deposits and continuously inhibiting excess buildup, the family of SilkBalance products help allow water to flow freely throughout the internal plumbing and jet fixtures of the hot tub. Stronger flowing jets deliver the intended power of hydrotherapy to your body and muscles. Other components, such as the internal water heater, will be able to operate better as well. All aspects of your water’s performance will improve with SilkBalance products as the central part of your water maintenance program. "I switched to SilkBalance when we replaced our old spa. 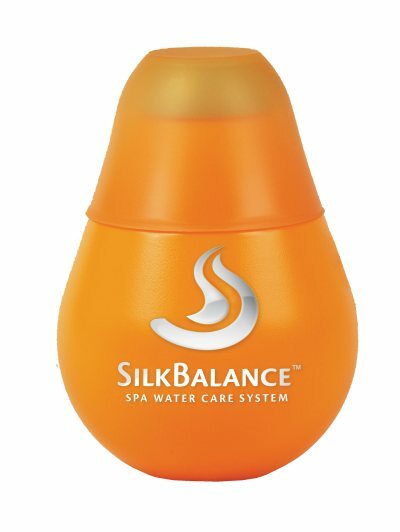 Using SilkBalance is much easier than the other brand I was using, plus the water smells better. My hot tub dealer recommended SilkBalance and I am glad she did." 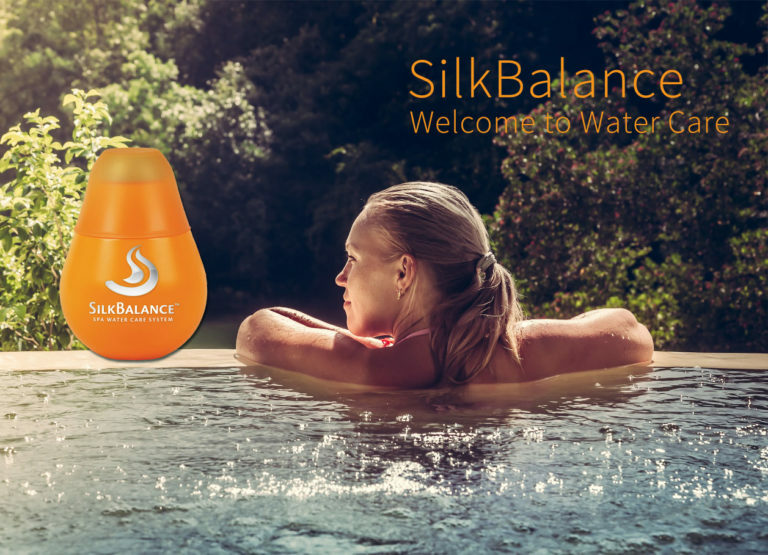 Luxuriously soft skin and simple hot tub water care that is gentle on your family and the environment is finally possible with SilkBalance. Hot Tub Water Care You Can Trust! Simply using SilkBalance Water Care once per week instead of a complicated chemical routine in your hot tub will keep your pH and alkalinity balanced and your hot tub protected so you don't have to. Its the safest natural way to make sure that you and your family will have the best spa water possible - with silky soft skin and no chemical odors! available in two sizes – 76 oz / 2.25 L (lasts 4 months) and 38 oz / 1.12 L (lasts 2 months). Every time you drain and refill your hot tub or when starting with Silkbalance water care for the first time you need to flush and purge the plumbing lines underneath to clean away the organic deposits, sludge and slime build up. 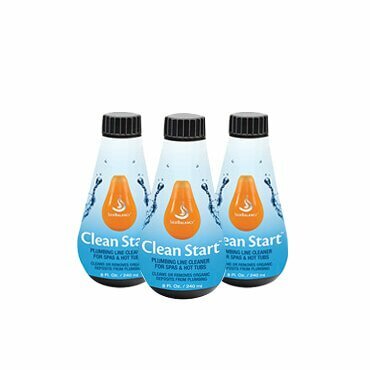 This concentrated liquid formula is specially blended to work in less than 30 mins, is a low foam formula and will deep clean the spa pipes, jets and plumbing equipment giving you that truly Clean Start. 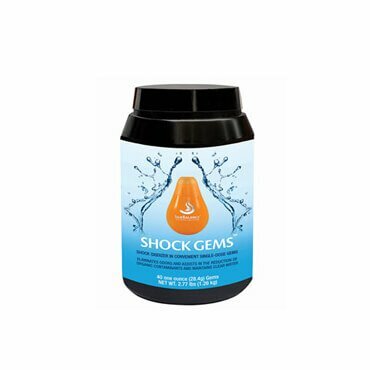 Shock Gems by SilkBalance are tiny one-ounce pods formulated to work in conjunction with the SilkBalance water care and your preferred sanitizer. We’ve taken the hassle out of keeping your spa clean with our pre-measured non-chlorine shock. Kit contains: 1 SilkBalance (38oz/1.12L), 1 Shock Gems (40 gems) and 1 Clean Start (8 oz liquid). 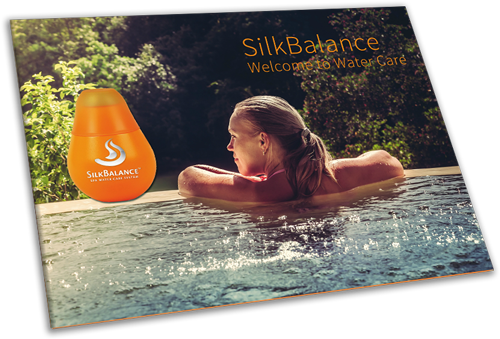 It also contains a limited time offer rebate card for the SilkBalance "Welcome to Water Care" rebate program. for more information ABOUT SILKBALANCE, check out our brochure!